I had the best experience at Dr Basu's office. The staff and the nurses and Dr Basu are all so sweet. They make you feel so comfortable. I highly recommend their office. A+! Thank you so much for your kind words, Sonia. We really appreciate you taking the time out to share your experience with us! Best experience ever!. From the moment I walked in to the front desk the staff and Dr. Basu made me feel so warm welcome an so comfortable from the first call, meet I knew I was in the best hands ever!. I decided to have a lift an augmentation done and I cannot Express enough how happy I am that I not only chose this decision but that I made the best choice to have it done at Basu!! Smoothest experience an I absolutely love how I look In the mirror every day since. Absolutely one million times recommended Dr. Basu!!! Dr. Basu and his entire team have been amazing!! I cannot say enough good things about my experience. From my consultation with Vivian and Tori to my myself and my husband meeting Dr. Basu. Everyone answered all of our questions and truly hand-held my through every step. The nurses the day of surgery were also amazing. My surgery was on a Thursday and oddly by Saturday I had some redness around the incision, I called the after hours number and Dr. Basu personally called me back on his Saturday afternoon to listen to my concerns and assure me he thought I had an allergic reaction to the tape. Sunday I was still freaked out and had him paged again to which he called me back immediately and assured me not to worry and to come see him first thing Monday morning. After seeing him Monday morning Dr. Basu and Tori removed the tape and the redness is almost completely gone. I would most certainly recommend Dr. Basu and his entire team to anyone considering elective surgery. Love, Love, Love them!! I had the best experience with Basu plastic surgery . Absolutely loved the staff and the care they give each client ! Cara! We are so happy to hear that you've had such a lovely experience with not only our staff but also, our services! Thank you for the feedback! Dr. Basu made sure everything looked exactly like the pictures I sent in. Dr. Basu and staff - very professional and friendly before, during and after procedure. Thank Dr. Basu for listening and understanding my goal and what I wanted to achieve. You are awesome! And your staff just as remarkable. Dr. Basu and staff - very professional and friendly before, during and after procedure. Thank Dr. Basu for listening and understanding my goal and what I wanted to achieve. You are awesome! And your staff just as remarkable. Thank you. I had a fantastic experience with Dr. Basu and his staff for my breast lift with augmentation! 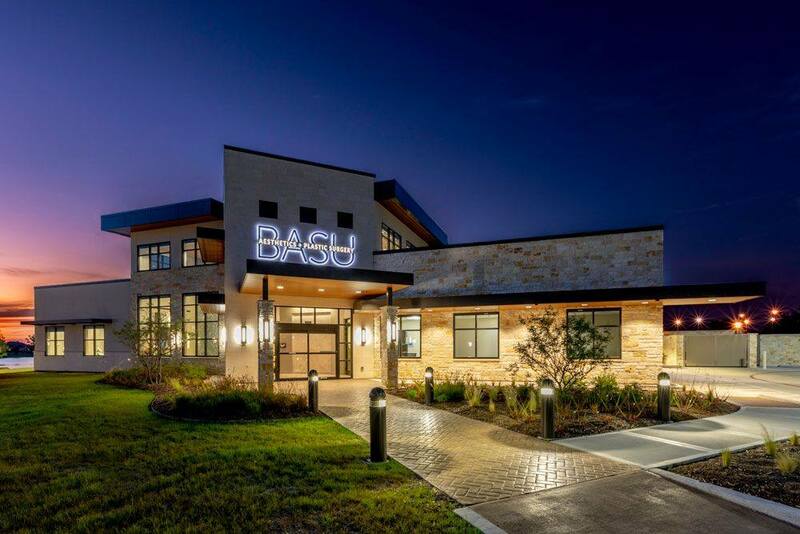 Dr. Basu and his staff were extremely helpful, responsive, and accommodating from my initial consultation to my pre-op visit to the day of surgery and even through my 4-week follow-up visit, which I just had yesterday. Dr. Basu spent more time taking measurements, listening to what I wanted and my desired look, and discussing all of the options with me during my initial consultation than other PS I met. He and his staff made me feel comfortable, they weren't pushy, and I felt confident that I was in the right hands all around! I am 4 weeks post surgery now, and I am so happy with the results. Dr. Basu got me exactly the look I wanted! I was very concerned about scarring from the lift, but the scars are so thin and are already fading. Dr. Basu should be at the top of your list of PS to see for a consultation if you are considering a breast augmentation or any other procedure!